Clouds on the horizon for fracking companies? The fact that they are now planning to sell a large part of their business and that they have earlier sold off parts of their activity indicates that their foremost problem is “cash flow”. 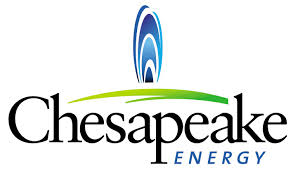 Chesapeake Energy Corp. reported it is considering a potential spin-off to Chesapeake shareholders or an outright sale of Chesapeake Oilfield Services (COS). COS in 2013 reported revenues of $2.2 billion, offering services that include drilling, hydraulic fracturing, oil field rentals, rig relocation, and fluid handling and disposal. COS’s operations are currently conducted through Chesapeake Oilfield Operating LLC, a wholly owned Chesapeake subsidiary. Jerry Winchester, currently COS chief executive officer, previously served in the same position at publicly traded oil field services company Boots & Coots Inc.
As of Dec. 31, 2013, COS owned or leased 115 land drilling rigs. It also owned 9 hydraulic fracturing fleets with an aggregate of 360,000 horsepower; a diversified oil field rentals business; an oil field trucking fleet consisting of 260 rig relocation trucks; 67 cranes and forklifts used to move drilling rigs and other heavy equipment; and 246 fluid hauling trucks. In addition to services performed for Chesapeake, 35% of COS’s marketable drilling rigs are currently working for third-party operators and COS intends to grow its third-party customer base as an independent provider of oil field services. Chesapeake in 2012 made multiple agreements to sell most of its Permian properties, all of its midstream assets, and certain noncore leasehold for total net proceeds of $6.9 billion as it intended to pay down debt (OGJ Online, Sept. 17, 2012). The following year, the company reported the sale of 50% stake in its Mississippi Lime oil and natural gas acreage in northern Oklahoma to Sinopec International Petroleum Exploration & Production Corp. for $1.02 billion (OGJ Online, Feb. 25, 2013). Vad skulle du köpa? Spekulera i att gaspriset stiger?